President-elect Donald Trump will name Oklahoma Attorney General Scott Pruitt to head up the Environmental Protection Agency (EPA), a source familiar with the Trump transition confirmed to CBS News. The Trump transition team made the formal announcement of the decision Thursday morning. Mr. Trump offered the job to Pruitt Wednesday morning during their face-to-face meeting and the Oklahoma Republican accepted. Pruitt has been on the transition radar for some time and swiftly emerged as the favorite for EPA. 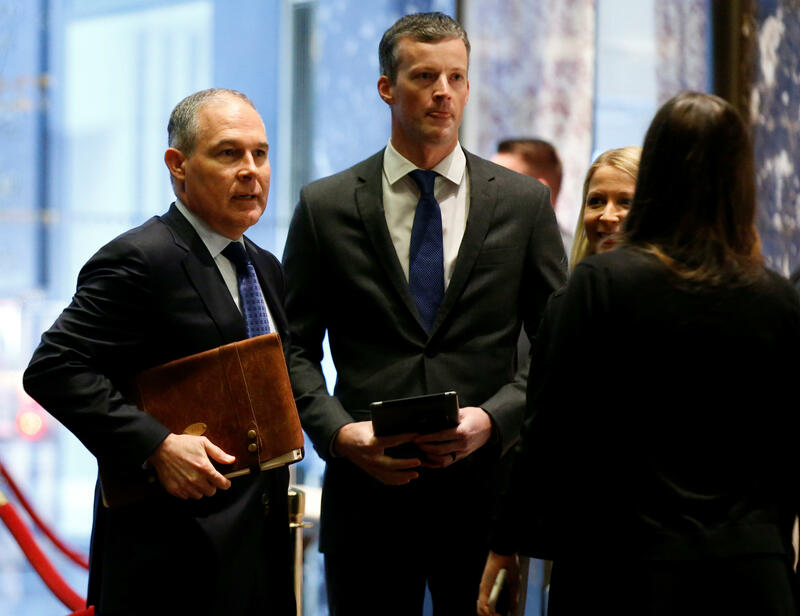 If confirmed by the Senate, Pruitt, known for his strong opposition to President Obama’s environmental regulations, could oversee the rollback of the administration’s climate protection measures. As Oklahoma’s attorney general, Pruitt has sued the Obama administration over the climate rules for power plants. Pruitt has also questioned the idea that humans bear any responsibility for global warming -- a position that goes against widespread scientific consensus. How will Trump impact U.S. efforts to fight climate change? During his presidential campaign, Mr. Trump pledged to “cancel” U.S. involvement in the Paris climate agreement, a landmark global accord that attempts to halt the effects of climate change. Earlier this week, the president-elect met with former Vice President Al Gore, a noted climate change activist. Gore also spoke with Ivanka Trump, the president-elect’s daughter, about climate change, transition aide Jason Miller said. At least one Democratic senator has already weighed in on Pruitt’s potential leadership of the EPA. Pruitt met with Mr. Trump for the second time Wednesday at Trump Tower in New York. CBS News’ Sopan Deb contributed to this report.